Tomorrow voters in the land of Rocori will go to their respective polling places to cast their vote. Three independent referendum questions will be on the ballot. 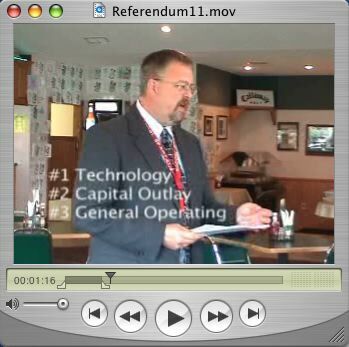 See this 5 minute video to better understand what the school district hopes to address with this catch-up referendum. In the past 6 years the district has cut its budget by 2.8 million dollars in educational programming. Also, six candidates are going after a total of three positions available on the school board. Two weeks ago, DigElogROCORI conducted a 5 minute interview with each of the candidates.